So if you long for a band that still look, sound and perform like those long lost million selling forgotten bands of the late 80's/ early 90's, MIDNITE CITY and 'THERE GOES THE NEIGHBOURHOOD' is the album for you. Don’t forget to catch MIDNITE CITY tearing it up live all over the UK, Europe and beyond in their own inimitable, arena rock style in 2018/ 2019. 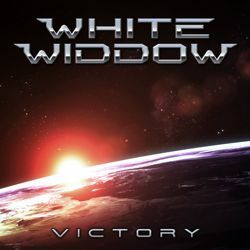 White Widdow formed in Melbourne, Australia in 2008 and ARE centered around the Millis brothers Jules (Vocals - ex Tigertailz) & Xavier (Keyboards - 2 x Aria Nominee) and guitar virtuoso Enzo Almanzi. Raised on a healthy diet of 80’s Arena Rock and influenced by artists such as Survivor, Foreigner, Journey, Night Ranger, Starship, Dokken and Australia's own Rick Springfield. 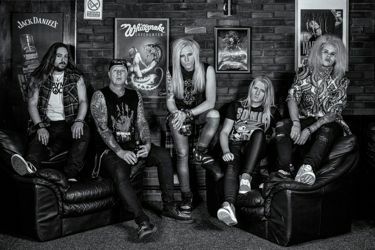 In 2010 White Widdow signed with the AOR Heaven label and stormed onto the Melodic Rock scene across the globe with the release of their self-titled debut album throughout Europe. After four successful studio albums and numerous live appearances, the Australians now return with their 5th record which is entitled “Victory”. Full track listing and info on MIDNITE CITY's new album 'THERE GOES THE NEIGHBOURHOOD right here. The 2nd album will officially be released via AOR Heaven on October 19th and ASM - Anderstein Music in Japan on October 26th. First single/ video 'GIVE ME LOVE' out Monday!! !